I came across this recipe recently which I was told originates in Sweden*. 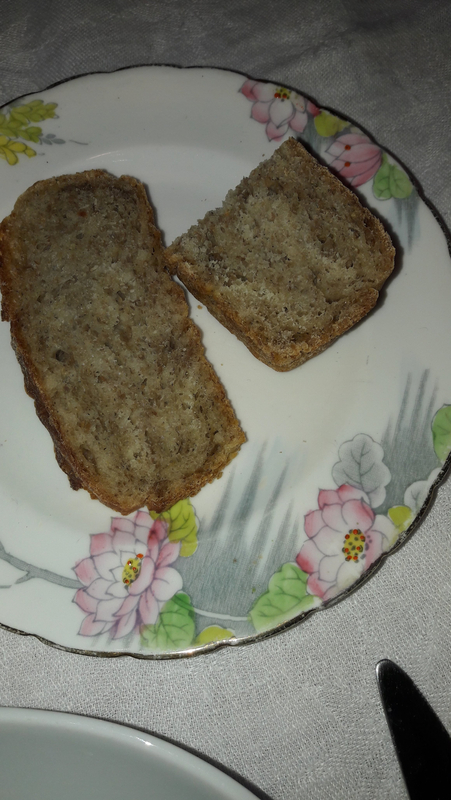 The recipe makes two loaves and the bread is very soft and tasty. 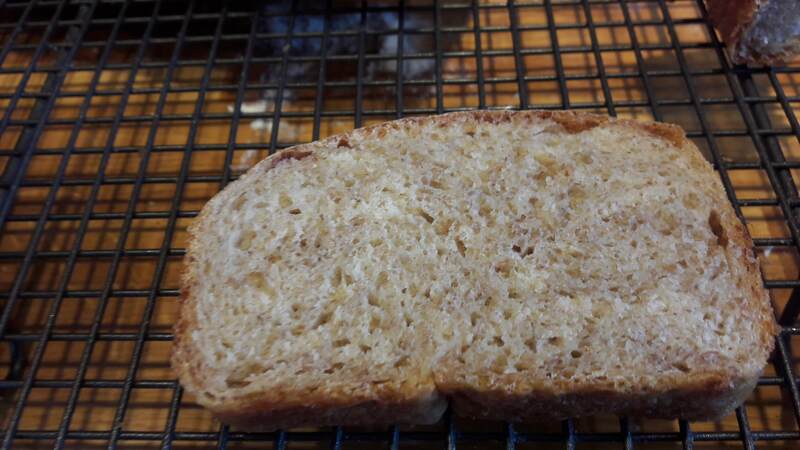 Boiling water is poured over the rye flour and it is left overnight. This must start the breakdown of some of the starch in the flour to sugars. I used dried yeast when I made this. 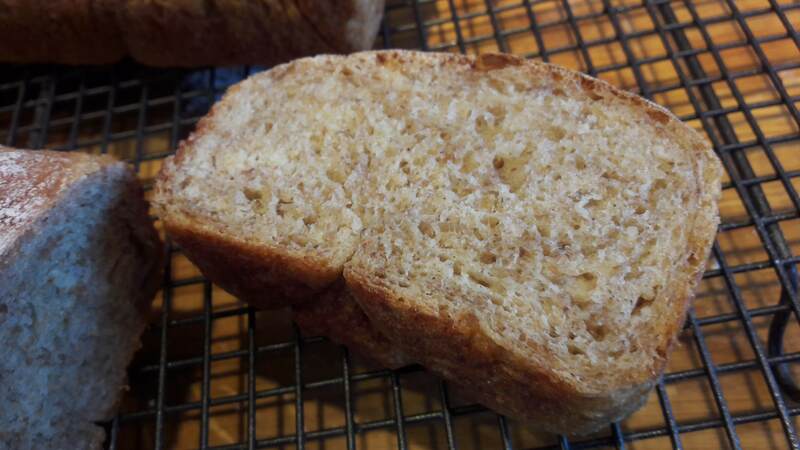 The bread is baked at a lower temperature than many other breads. Put the rye flour into a bowl and pour the boiling water over it. Mix this to a stiff paste. Cover with a cloth and leave overnight. The following morning, place the plain flour into a bowl and make a well and add the dried yeast followed by 100ml of water. Cover and leave for around 15 minutes until all the yeast has dissolved. Add the rest of the water (150ml), the salt and the scalded rye mixture. Now you need to knead this for around 10 minutes – this can be hard as the dough is sticky – I do this in the bowl for some of the time and then with wet hands I hold the dough up and sort of kneaded it in the air! Put the dough back into the bowl and covered with clingfilm or a cloth and leave it for around 2 hours. Flour your hands and stretch each piece into a rectangle around 2cm in thickness. You now need to fold the dough into a long loaf. With the short side facing you, fold this up a third gently onto the dough and then taking the top third pull this down to cover the two layers of dough. Get a clean tea towel, flour this and using a cake lifter place the loaf on this and cover it with the rest of the tea towel. Repeat this for the other loaf. Leave the loaves to rest for around 1 hour. Pre-heat the oven to GM8 – 230°C. Use rye flour to flour two small baking sheets. Place each loaf onto a prepared sheet and place them side by side in the oven. Turn the temperature down immediately to GM4 -180°C. Add 1.5 tablespoons of caraway seeds to the dough mixture. Divide the dough into 4 pieces and shape them into cobs. 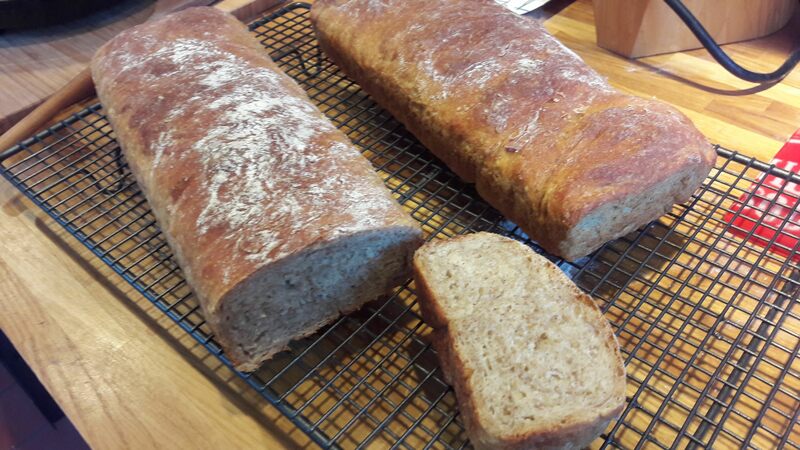 Change the proportions to use more rye – I used 200g of dark rye & 550g of strong plain flour & an extra 100ml of boiling water for the overnight scalding & baked the loaves in long loaf tins after shaping the dough. The Polish King Zygmunt III Waza (1587 – 1632) was the son of King John III of Sweden and Katarzyna Jagiellonka (daughter of King Zygmunt I Stary (the old) of Poland). He was also the King of Sweden from 1592 – 1599. Potop – The Deluge – was a period of invasion and war with Sweden in the mid 17th Century. Szwed – The Swede is a very common surname in Poland . One of my father’s best friends had this surname. There are 72 ferry sailings a week from Polish Baltic ports to Sweden.